It’s cabane a sucre season in Montreal and everywhere you turn there is a maple-themed menu popping up as well as restaurants doing their own cabane a sucre and Le Richmond is no exception. 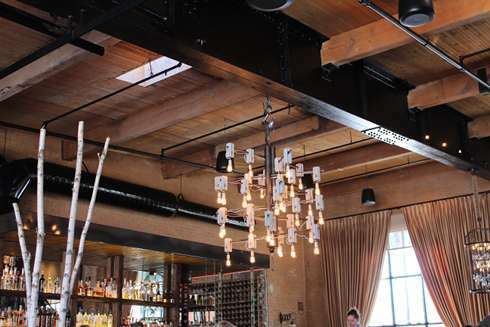 They recently started serving up weekend cabane a sucre themed brunches and once the season is done, word is, they will be doing normal brunches. This is exciting to see since Griffintown has lots of interesting restaurants but there has been some loss of brunch places over the years. 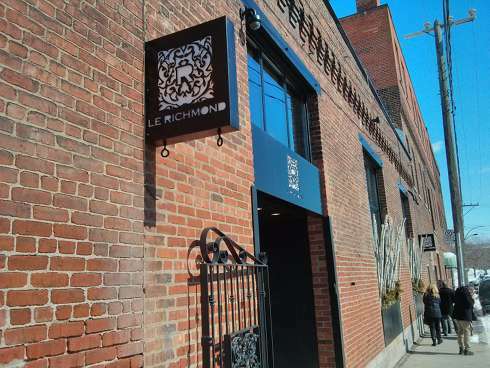 When Le Richmond announced this we got excited and headed with two of our blogger friends, the Montreal Food Divas. Since Le Richmond has announced they will be serving brunch and that this is a maple-themed one, this is not an official review. I don’t feel places offering a new service addition to their regular operations should be reviewed for at least a few weeks until they hit their stride and a maple menu is not representative of their normal brunch menu. Although, I do feel that checking out this unique and fun sugar shack inspired menu is worth writing about. 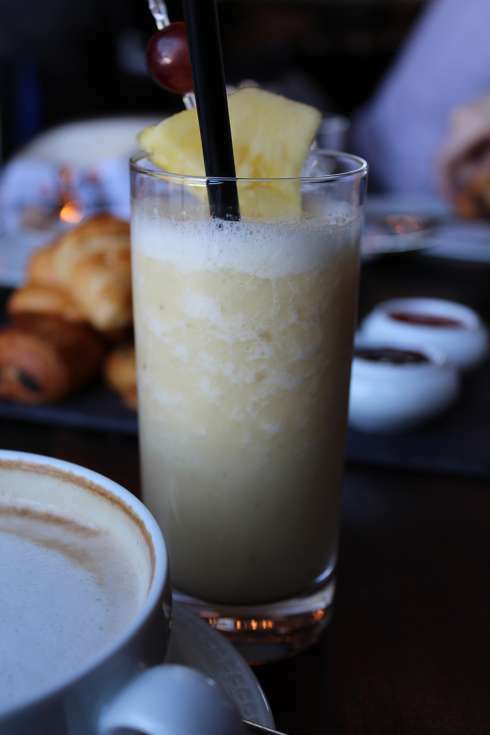 We started off with a smoothie ($6.50) which was pineapple and banana. The presentation was pleasant although the taste did not stand out. I also would have liked it to be a little thicker. I am sure it can be tweaked and ultimately improved. 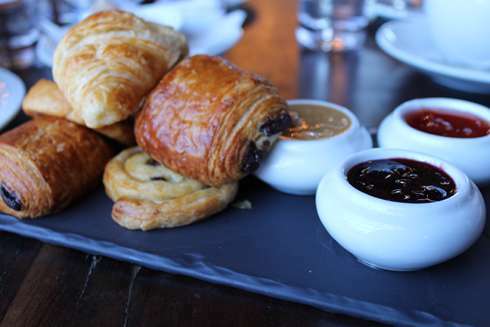 We started with a Viennoiserie plate ($5) to share. The plate came with croissant, chocolatines, danish, brioche, 2 jams and a homemade peanut butter. I loved the homemade peanut butter and the croissant was good.In fact, most of the bread items were solid with the brioche being the only one I was not impressed with. What I was impressed with was that the price was only $5. I’ve been to places where a chocolatine alone is almost that price; granted, the size is a little smaller but you get varied pastries and 3 types of jam – all for $5. This is a perfect dish to order for a group to nibble on. The pain perdu for 2 people was also $5. This was a large block of bread with maple ice cream on the side. The price and portion size scored high points in the bang -for-buck department. 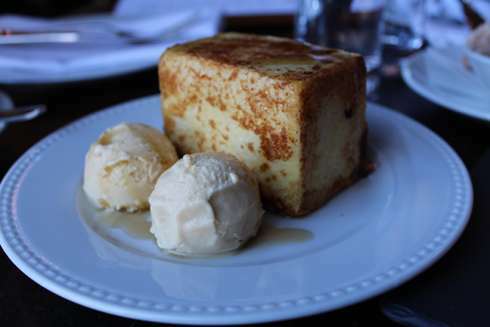 I mean, think of it: this large pain perdu is a steal at $5. Other places would charge more than double and the size is quite fair and it is very filling. My only issue is that it was a little too wet in the middle and could have benefited from some extra sweetness. We also ordered potatoes ($5) and sausage ($5). 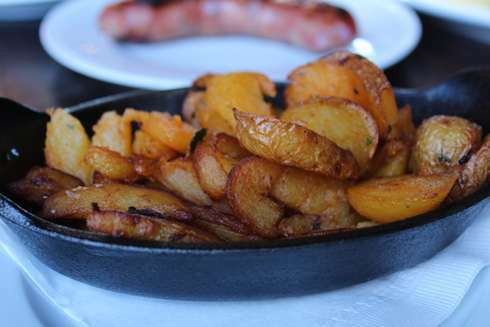 The potatoes were rather simple looking but their taste was anything but, we were all impressed by how incredible they were and the portion size was fair. 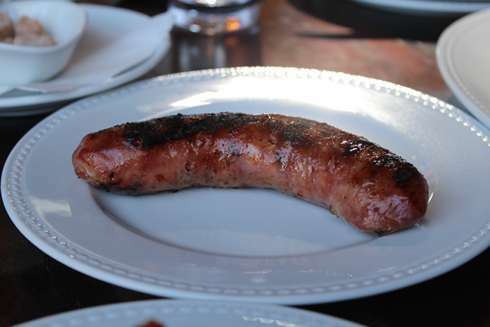 The Sausage also did not look that impressive but it had small cubes of ham in it and had a slight maple taste to it. It also scored points in the taste department. Diva #1 ordered the lobster Benedict ($24). This dish had a grilled polenta base with pancetta, poaches eggs and caviar. 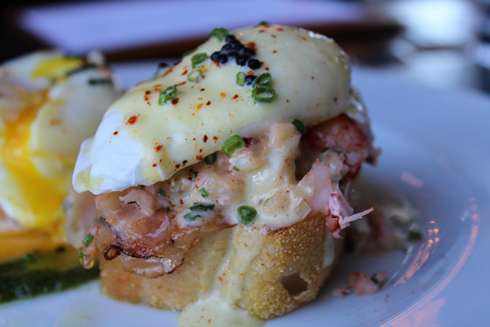 Lobster Benedicts are a tricky dish since it is hard to get the right taste balance of lobster and not have it wear off after the first bite. This dish was perfectly done and every bite was an explosion of taste. The dish is a pricier one; although, it is expected when you have a lobster Benedict. 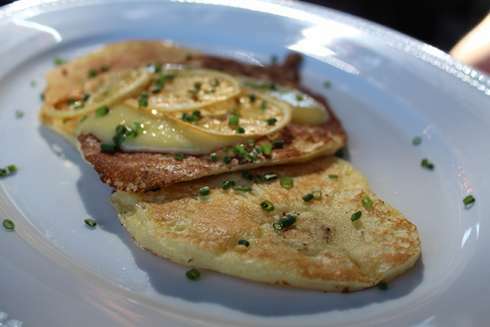 Diva #2 has he lemon and ricotta crepe ($14) dish had perfectly done crepes made of ricotta and with a lemon zest. The lemon flavour worked well with the ricotta making for an enjoyable dish. However, this is a light dish so if you are famished you may need to add something to it. Lastly was my dish the French toast ($17) which is a dish with generous thick slices of toast, apricots, cranberries, dried raisins, English cream, pancetta and maple. This dish is what you dream about as a kid – it is loaded with candied fruit and the slices are thick and generous. The taste does not disappoint at all. 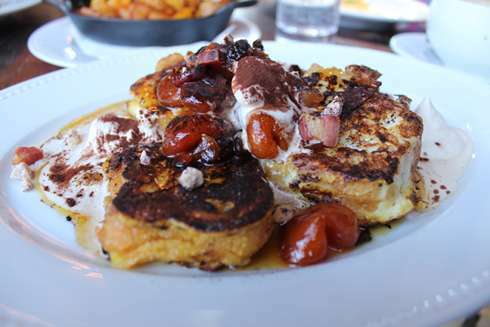 This is a great French toast and in my book arguably one of the best I have had in quite some time. Now this is not the final menu that you will see when the maple season is over. Although, do check it out for the maple menu and when the normal brunch service comes along we will be back to test it and hope to see some dishes still there. This is why you need to bring us to brunch more often, we inspire you and you end up having a good brunch with GREAT company…where is our next adventure going to take us Sensei?